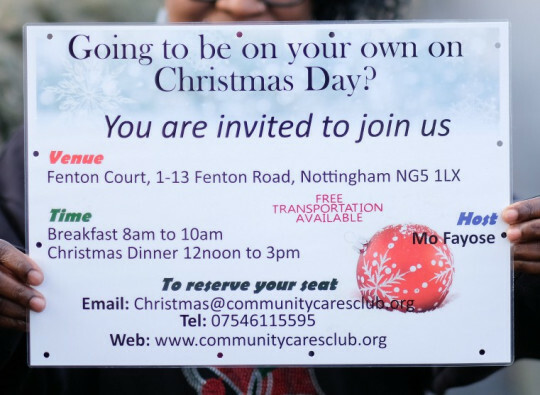 A Notts lady who put up posters offering a free Christmas lunch for local lonely people has been threatened with a fine for fly-posting. She raised the money for the lunch, and then with volunteers will spend Christmas morning cooking and serving food for over 100 people. Rather than supporting her initiative, the council sent her an email saying that if she did not take the posters down, she would be fined. This is part of a growing intolerance in councils for people’s expressions in public spaces, with bans on any leaflets or posters by local residents. This has worrying implications for both community activities and freedom of expression. Read our commentary on this case. For several years, the Manifesto Club has campaigned against private companies being paid on commission to issue fines on behalf of public authorities. Citizen groups have sprung up across the country to oppose private companies operating in their area. Now Defra has responded, and announced new guidance governing litter enforcement. The new guidance clearly states that: 1. enforcement should not be used as a means of making revenue; 2. there should be no incentives for issuing penalties; and 3. councils should run impartial and objective appeals procedures. This guidance could help campaigners against these practices, as well as those who have received a fine. Read our short guide to the new guidance here. The disaster of Defra’s doggy daycare guidelines: How new 40-page guidelines will impose absurd restrictions on doggy daycare, including bans on off-lead walking, and requirements that dogs be supervised continuously without a break. Read an in-depth post on this madness by the campaign group ‘Dog Owners Against Discrimination’. 81-year old banned from wearing a bikini in her own home: The Manifesto Club has been supporting a pensioner who was issued with a CPN banning her from wearing a bikini in her own home; the order also bans her from looking out of her windows at her neighbours. Read about the case reported in the Sunday Telegraph. The problems that remain with Nottingham’s PSPO: We have been opposing Nottingham Council’s PSPO restricting charity donations, busking, leafleting, and begging. The council has made significant changes to the order, but major problems remain. See our comment on the issue. Do get in touch if you are in Nottingham and want to be involved in monitoring and opposing this PSPO. Asked for ID at the Christmas party? : Read a post by Wayland Ellis about why ‘Challenge 25’ is wrong, illiberal, and should be opposed.